When purchasing a light bulb what does colour temperature mean? Colour temperature refers to the appearance of light provided by a light bulb. Different bulbs emit different colour temperatures and this is expressed in Kelvins, measured on a numbered scale that provides information on the quality of light, particularly the colour and the atmosphere it creates. Based on the Kelvin numbered scale, the higher the colour temperature, the cooler, more energising light will be. A lower colour temperature will produce a warmer, more relaxing glow. 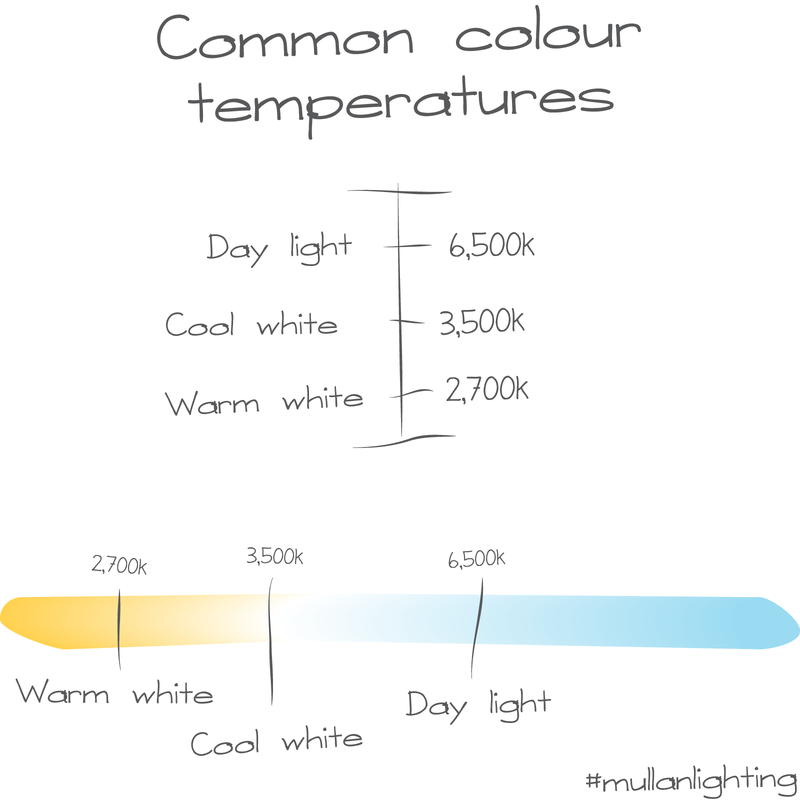 You can read our blog post on colour temperature for a more in depth explanation. How do I clean my light fixture?